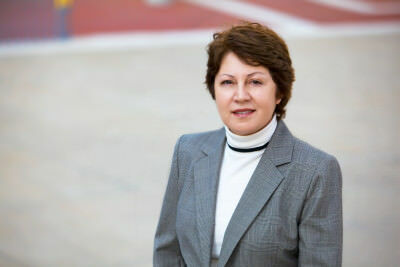 Irena received her Master’s Degree in Architecture from the Georgian State Technical University and worked 16+ years as an architect for the State Institute of Urban Development in Republic of Georgia. After moving to the USA in 2000, Irena continued her dedication to the profession, obtaining Architect’s Registration with NCARB and License in the state of Indiana. Irena has worked for Architura since 2004 on a wide range of projects including master planning, historic preservation, commercial construction, and multi-family residential. Irena assists our clients with zoning, state and city approvals, and building code guidance. Irena believes that the power of architecture extends much further than just designing “physical” buildings and it is about creating an environment that inspires peoples’ lives while addressing the practical. Irena’s philosophy is “to always listen to the client” and she takes any challenges to achieve the right solution for the client’s needs. We are an Indianapolis-based firm of architectural design professionals with extensive experience in industrial, commercial, historic, and master planning. Our design practice is client focused allowing our experienced principal architects to offer hands-on client services in project architectural planning and design.